I was raised by a single mother in New York City until I was about 13. During those early days, she worked and went to graduate school. I went to school and took the city bus home to a small apartment. It was a good life – with some challenges. As a parent now, I can see my mother would have protected me from these challenges if she could have. She slept on a couch to give me the only bedroom – and she likely would’ve given anything to make my life easier. But why did she never let me win at Monopoly? We certainly weren’t well-off, but I remember a richness of connection and fun. One part of that fun was regularly playing board games together. We played Chutes and Ladders, The Game of Life, and Monopoly. Did she ever let me win at these games? No chance! I had to win fair and square or lose with a good attitude. I think now, looking back at it, she was using these games to teach me resilience. Resilience is defined as an ability to recover from or easily adjust to misfortune or change. In many ways, it’s a skill that can be taught to kids. Children learn resilience when supported through adversity. They learn when allowed to struggle without having every challenge solved for them and become more confident along the way! Below are some steps to help you build resilience in your children. Many of these ideas are inspired by the excellent book, A Parent’s Guide to Building Resilience in Children and Teens: Giving Your Child Roots and Wings by Dr. Kenneth Ginsburg. Parent with positivity. Resiliency grows out of the confidence that comes from being raised with unconditional love. You can create this in part through positive praise/parenting. Let them stumble. Allow children to solve their own problems as often as you can. Did they forget their homework again? Have they hurt a friend’s feelings? Let them come up with solutions on their own. This gives them the strength that comes from knowing they can solve problems and handle what life throws at them. Have a big circle. Kids will feel most resilient when they feel supported and loved. 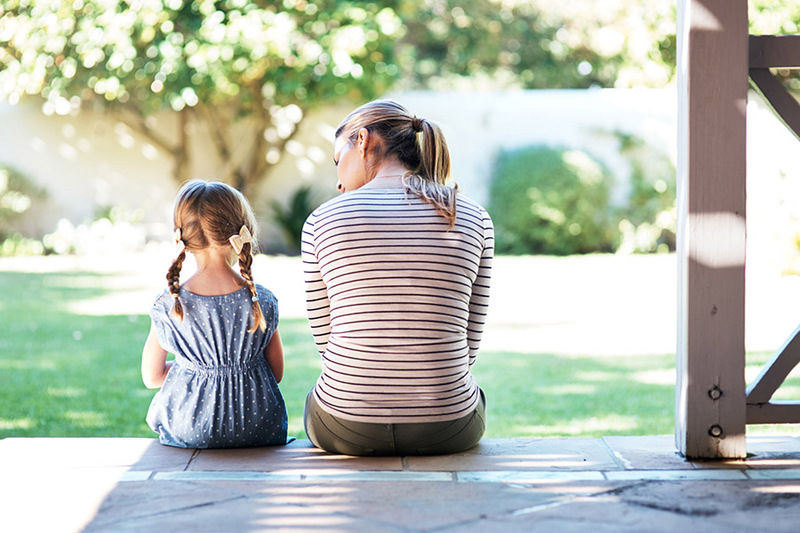 Make their circle of support as wide as you can by encouraging connections with family and friends. Get to know your neighbors and the parents of your kid’s friends by taking walks or sharing meals together. This lets kids know they have a safety net – and allows them to be brave and strong when facing challenges. Volunteer as a family. Giving back to the community teaches children that accepting help isn’t shameful. It allows them to in turn ask for help from others if they need it. Parent with clear discipline. The word discipline comes from the Latin “to teach.” Teaching our kids how to behave well gives them strength and security to go out into it and thrive! Take care of yourself too. I’ve heard it said that “you’re a mirror for your child.” Your stress level affects them, so be sure to care for yourself – sleep, eat, and exercise well. If you’re feeling overwhelmed, talk with friends, family, or a counselor. These parenting steps can help both you and your child! My mother couldn’t solve all the big challenges life handed me as a kid. She couldn’t make my father healthy or us well-off. She could, though, support me through the challenges by making sure I knew how to handle them, both large and small…like losing (again)at Monopoly! Life will present our children with loss, tragedy, scary news events, change, and illness – we cannot avoid these. Instead, we can help our kids weather storms when they arise.